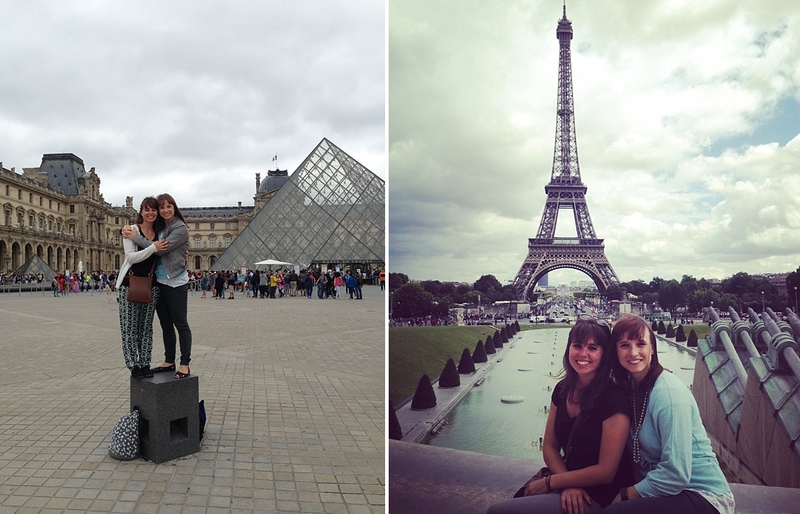 Paris is the city my little sister has always dreamed of visiting. 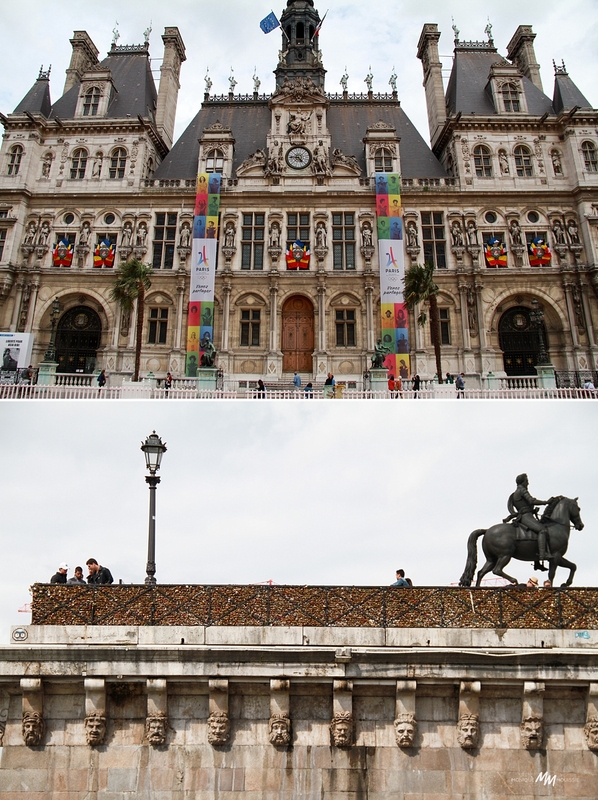 After traveling there myself in 2011, I promised we would go together some day. July 22nd was the set date. Thalys tickets were booked, as was our hotel. Our small wheelie bags were packed with an overly ambitious summer wardrobe as we stood on the platform waiting for the train to take us to Amsterdam Centraal. But it wasn’t coming. And while the seemingly hundreds of commuters around us were annoyed, we were doomed to make our 15:17 Thalys train. The stress was tangible and my heart broke for the hopelessness I saw in Dani’s eyes. This was Paris! It can’t go wrong. We made some calls and patiently waited when a train finally came – offering a glimmer of hope – but then just as swiftly dampened by ending it’s journey in Haarlem. We were helpless. At 15:40 we went to plead our case at the NS desk and while they were unaware of the horrendous delays, put a sticker on our tickets and said we’d be welcome on the next one at 18:17, but couldn’t guarantee the seating situation. It didn’t matter, we’d still get there. We just had a lot of time to kill now. Luckily Amsterdam Centraal has shops and food and places to sit and people to watch and it wasn’t too long before we boarded the train. The conductors understood what happened and very kindly offered us temporary seats where we munched on (and I spilled a bit) our picnic dinner that was meant for the lawns under the dazzle of the Eiffel Tower. Another night then. 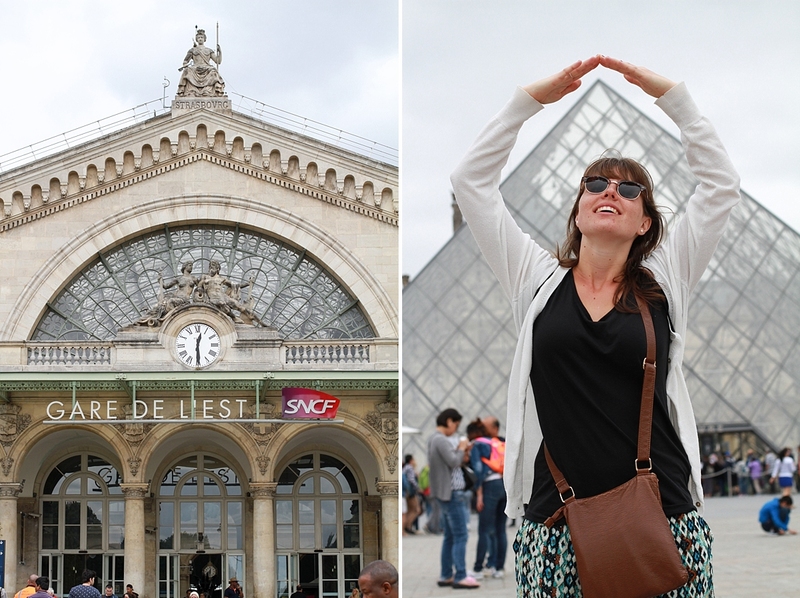 We check in later than 10pm after navigating our way through the metro from Gare du Nord. 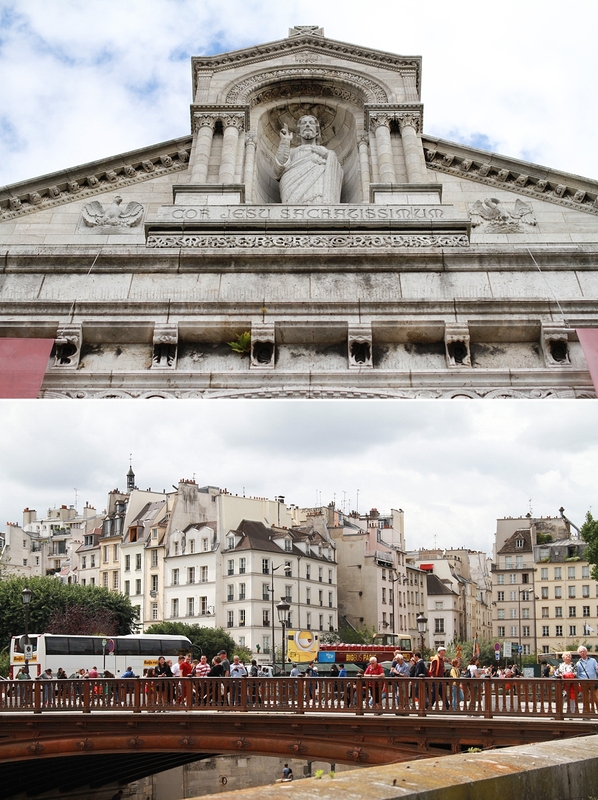 That was also the start of several bouts of dé ja vu, as I so fondly remembered the swelling of my heart in my chest when I first stepped onto that platform in 2011, knowing I was really in Paris. 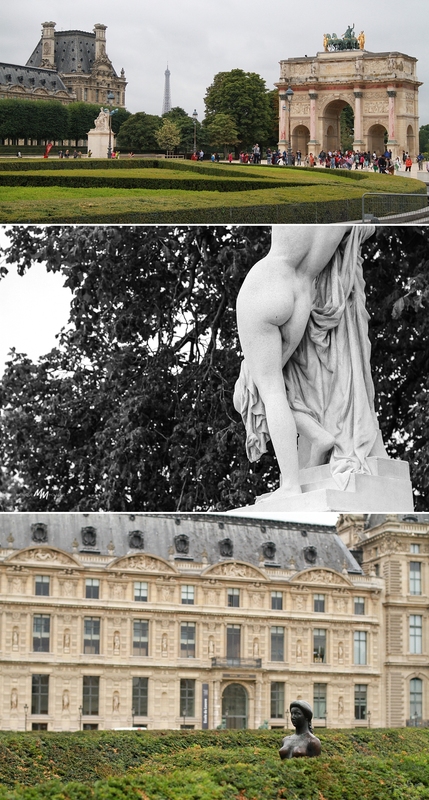 The Paris with its illuminated monuments and beautiful gardens. With its Renaissance sculptures and chocolate croissants. With its sketchy characters frequenting the underground. With its occasional whiffs of urine in certain places. With its endless shops of tacky and sparkly souvenirs. With its melancholic buskers filling the maze of metro passages with their instruments and songs. Paris with its ridiculous queues and endless waiting for your turn to take your photo in the best spot. With its Nutella crepes and refugees and their children silently begging on the streets and causing me to shy away uncomfortably because we don’t see that in the Netherlands. And I feel ashamed for having forgotten it exists. We feel much more on edge here than in our current European home. I don’t know, it’s just a different ‘energy’. We notice the small groups of heavily armed policemen frequently patrolling the metro and the tourist areas. I’m not sure if I feel safe or scared. 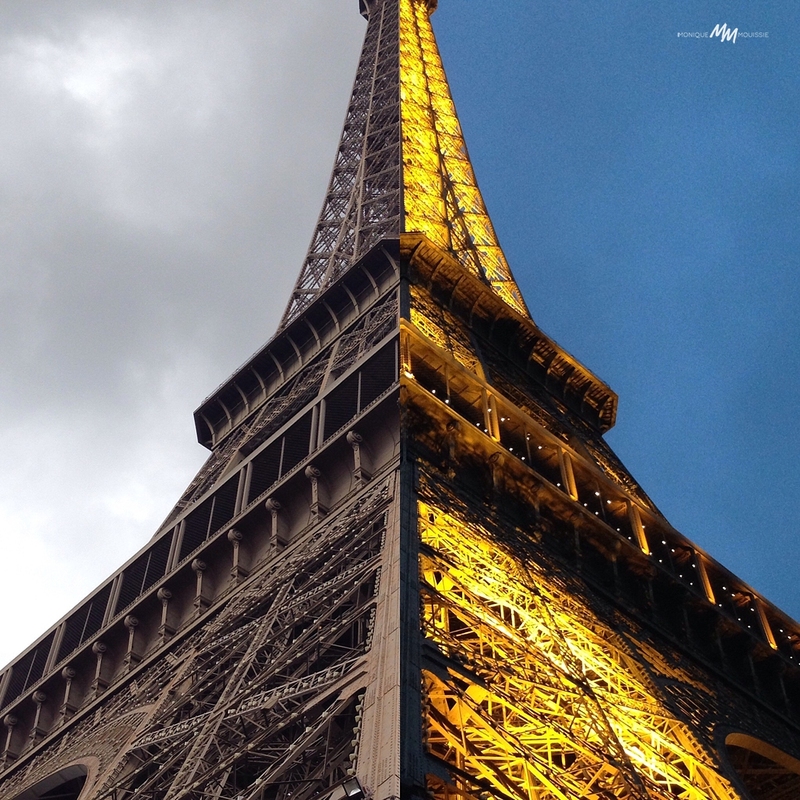 Do you know you can’t stand or walk through under the Eiffel Tower anymore? Unless you queue to buy a ticket to go up it. Such a shame, because I loved doing that. Sunday. 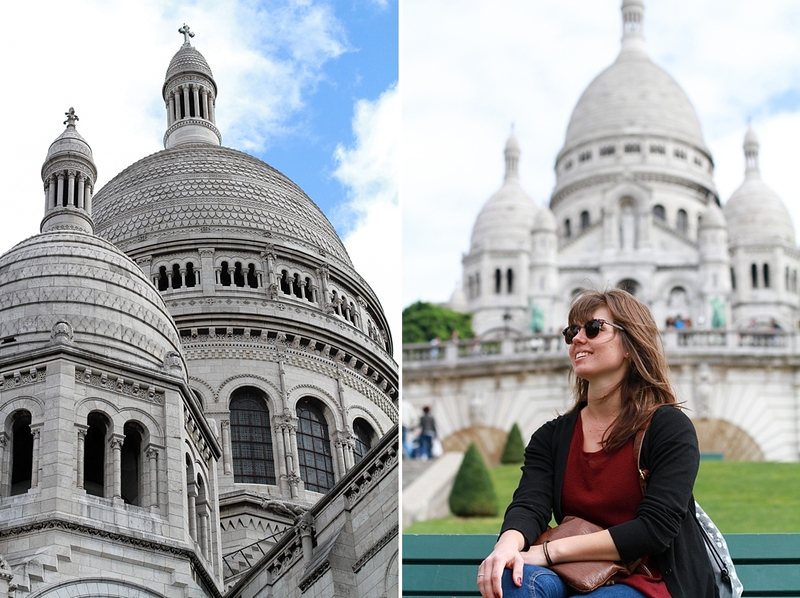 I take Danielle to the Sacre Couer. We climb the steps to its white dome and enter the sacred inside. There’s a sign asking people not to take pictures, but it’s not surprising that hardly anybody cares. People talk quietly despite the request for silence. 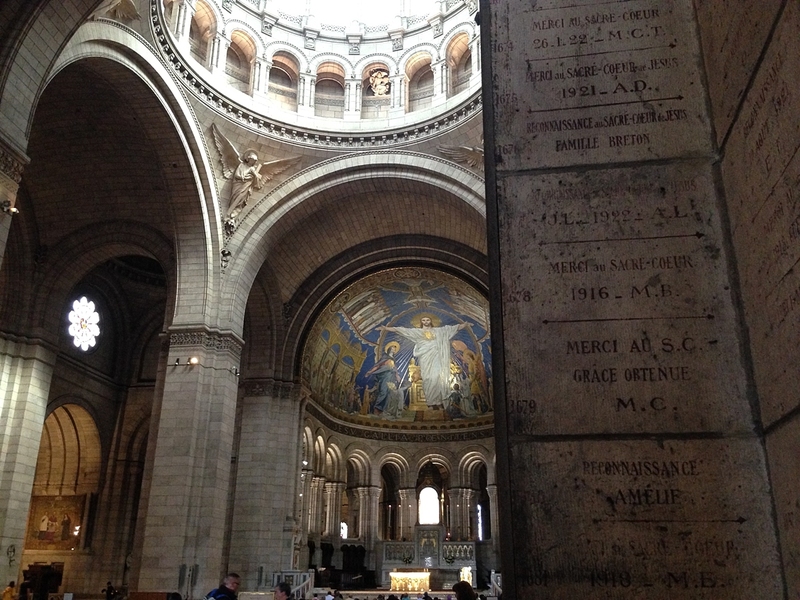 Stained glass windows, burning candles, wooden pews, statues of Jesus and Mary all have their place here. It’s beautiful. No visit to the Sacre Couer is complete without sitting on the steps, admiring the views of the city, and listening to a musician pour his or heart out into their melodies. This will always be a highlight. Last time it was a woman crooning ‘Hallelujah’ and this time it’s a man with a bowed head and mesmerising fingers playing the electric harp. The perfect soundtrack for that moment. 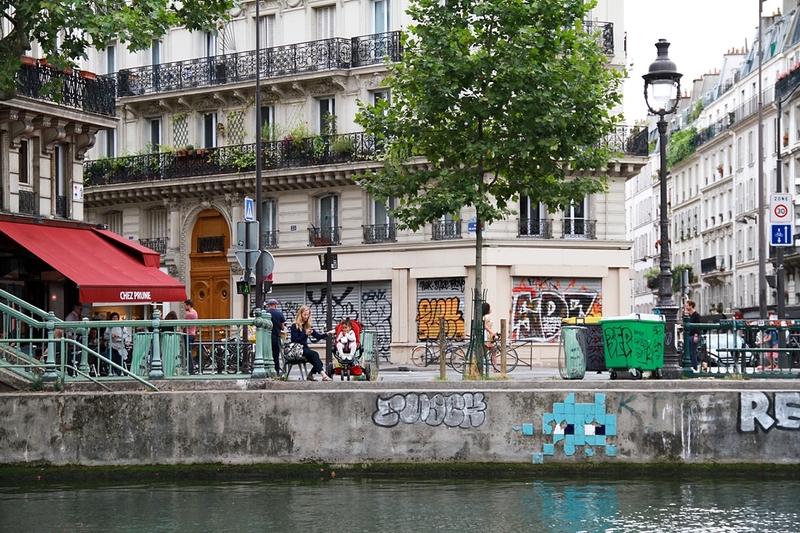 After a ludicrous wait for a turn to relieve my bladder in one of those self-washing lavatory vessels (because needing the bathroom while exploring a city will always be the worst), we set of in the direction of Canal Saint Martin, as recommended by a Parisian friend. We could take the metro, but it’s only a thirty minute walk and this way we can see more of the city. 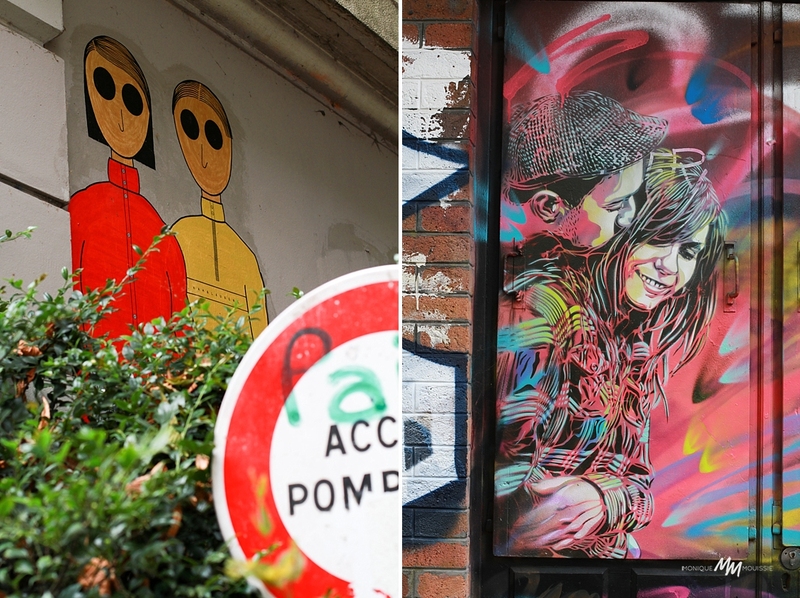 Well, let’s just say we have now seen the ghettos and boring bits of Paris. 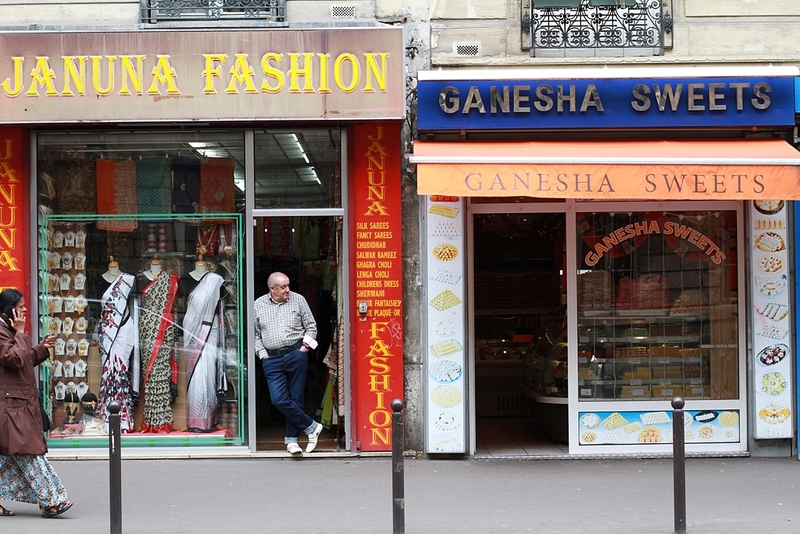 Not only that, but I lead us further astray and we pass through what we dubbed ‘little India’. Finally we settle on a bench for a light picnic lunch (basically crackers) and watch a guy do yoga on the grass nearby. In jeans. The skies above have been threatening to break the whole afternoon and we get ushered into the Italian restaurant by our rather cute waiter who claims it is ‘going to rain any second now’. As the evening progresses, we notice a small fleck of pink on his nose – perhaps an unfortunate incident with a raspberry and a blender whilst making a cocktail? – but Dani begs me not to tell him. That’s what his waiter friends are for. Some friends. It was still there when we left after a few hours, cocktails and delicious pizza too. I want to show her the Louvre pyramid at night, but the entrance closest to our exiting metro is closed off and it starts to rain, so we head to hotel home. Monday. We spot a traditional French bakery/patisserie on our way to the station. When the lady behind the counter deftly replies ‘no’ after we ask if she speaks English, we order some Pain au chocolat in our best terrible French. No trip to Paris is complete without copious amounts of chocolate-filled pastries, so we made sure we went back every morning. We eat these pastries outside the Louvre pyramids, overlooking the lines of tourist queuing already. I’m pretty glad I don’t have to endure that again. 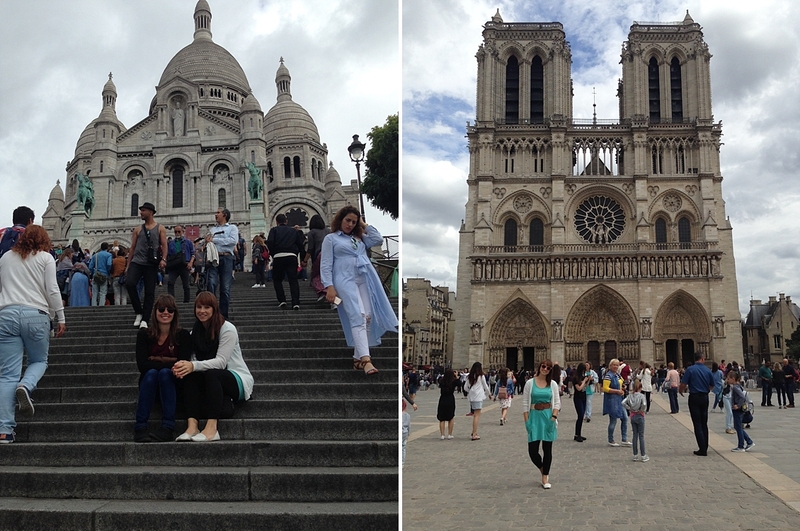 I lead us downstairs to show Dani the inverted pyramid, and then out again in the direction of the Arc de Triomphe. This time we venture underneath the highway to stand below this colossal structure and truly get a sense of its grandeur. We meander through the gardens and stop at the fountains. We search for Angelina’s on Google Maps and head to Rue de Rivoli for what is probably the richest hot chocolate we’ve ever ingested. The first sips are just wow, but towards the end it is a battle of feeling ill versus getting every drop you paid for. 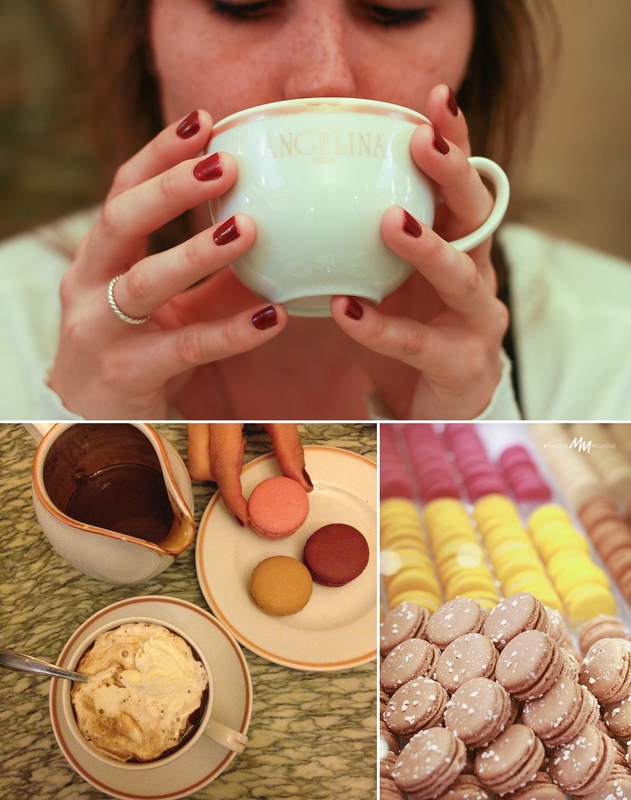 Add to that four delectable macarons … Needless to say we felt as naar as we did underdressed after that experience. But we ticked it off the list. 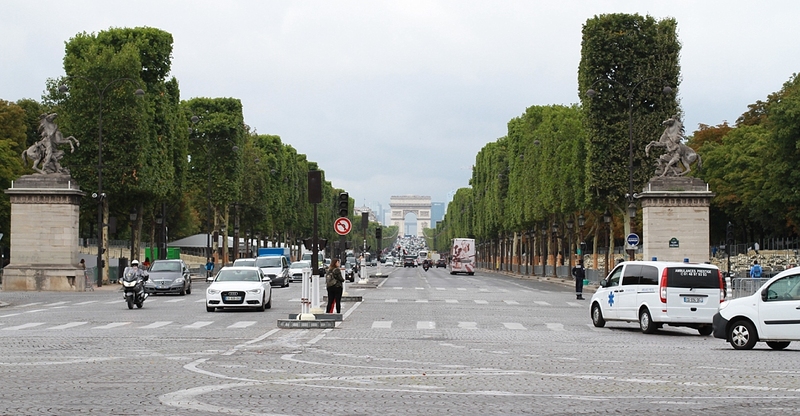 The famous Champs Elysees came into view (and the remnants of yesterday’s Tour de France finish) and it was its usual bustling tourist hub and game of trying not to walk into each other. We check out the Disney store and inevitably shop a bit at H&M. My bathroom break has reached critical levels and without shame I mosey on into a pub, use the loo, and smile on my way out. Meanwhile, Danielle has spotted a good lunch option, but while this satisfies my hunger, we have to eat huddled outside the restaurant (because, take away), taking shelter from the now opened heavens (because, European ‘summer’). This may have been a lowlight of my day. 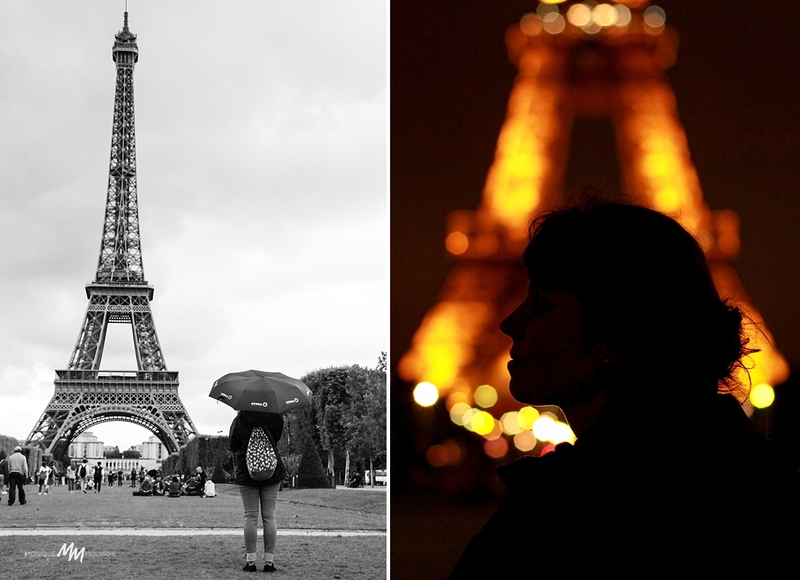 Like most rain though, it comes and goes and Le Eiffel still awaits us! It’s a decent walk there. 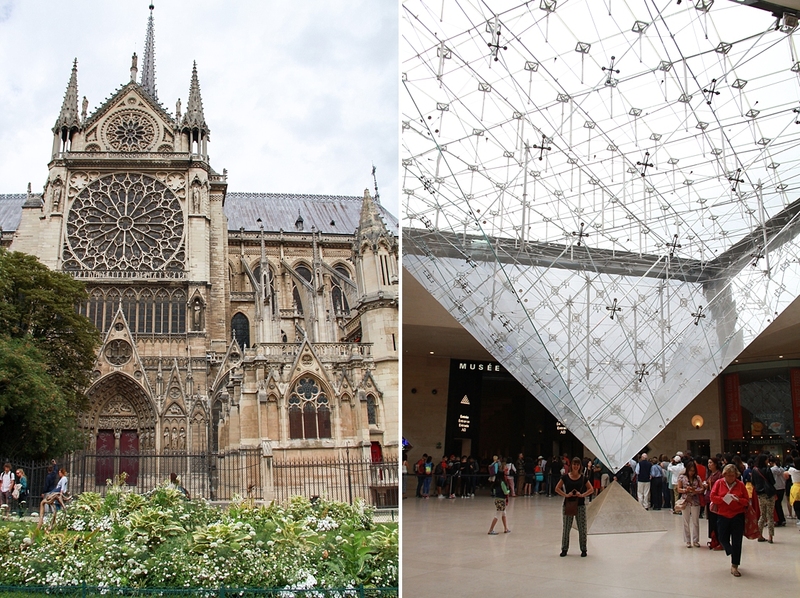 Contrary to what you might think, all these iconic landmarks are not next door to one another. It’s a game of hide and seek as she disappears behind buildings but then peeks out through some leaves around the next block. And then she is in full view. Glorious. I look over to see my sister soaking it all in, realising her dream is real. I know that feeling so well. 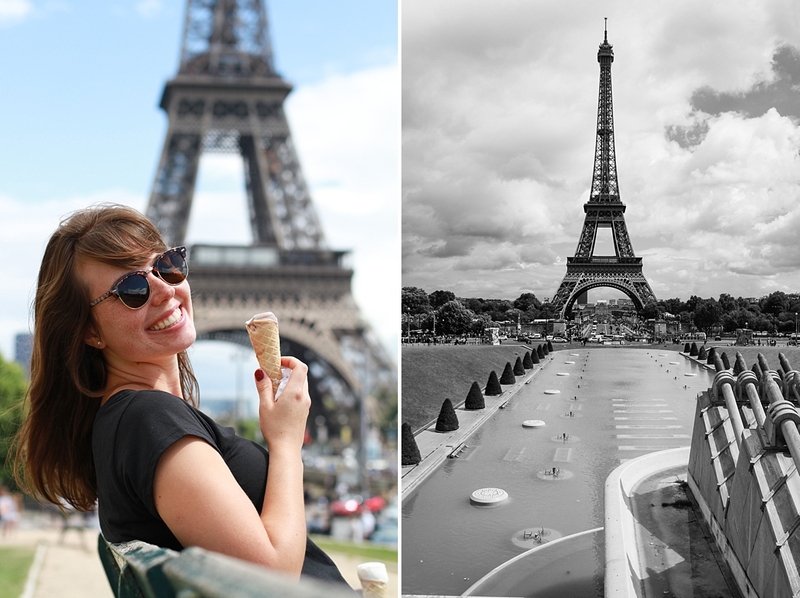 There is ice-cream and a bit of time on a bench and then lots and lots of photos. And handstands of course. We seem to set the trend for good photo spots. The sky is dramatic and makes for even better pictures. Now that the boat cruise is done, we can get up close to Madame Eiffel. The guys selling the tower trinkets are literally everywhere. We find a spot on the grass after taking photos of puddle reflections (and following deceitful signs to public toilets). It’s nice to slow down. Just sit and look up at the landmarks. It’s still a long wait until the light show starts, so in the meantime we buy snacks for Versailles tomorrow and settle on another Italian restaurant for dinner. My pasta is delicious and Danielle plays a game where I have to tell my life story in under three minutes. Near impossible if you know me! I like to tell stories. But it made for great bonding conversation and she learnt some new things about me. 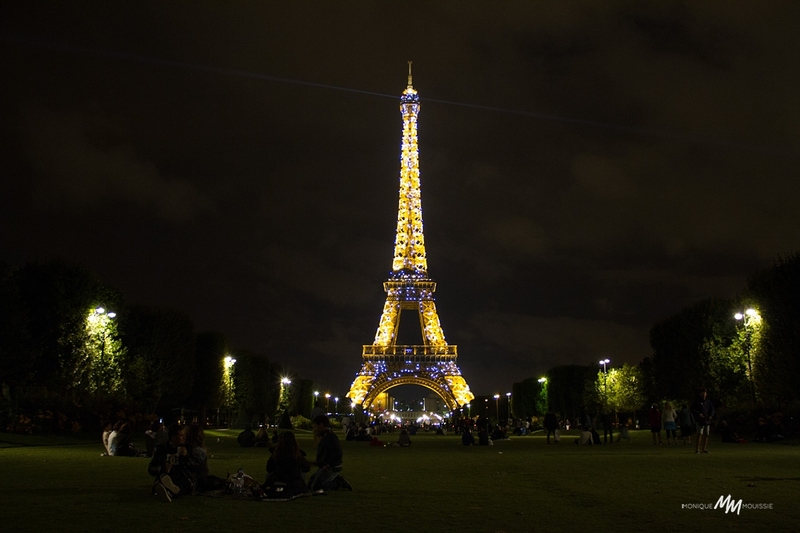 The evening speeds up as we now have to race to the grass lawns to catch the 10pm sparkling of the Eiffel Tower. Dani keeps asking how far back I am going … but we make it. I love the collective surprised exclamation of everyone when the lights switch on and dance for a delightful five minutes. It’s mesmerising and magical. In the end we wait another hour and watch it sparkle again, just because we can. Such a happy place.